Vintage Bally posters - we’ve seen them, we love them, we lust after them. But what is the story behind this internationally recognised campaign and what is the ‘it’ factor that has creatives coveting an original print today? 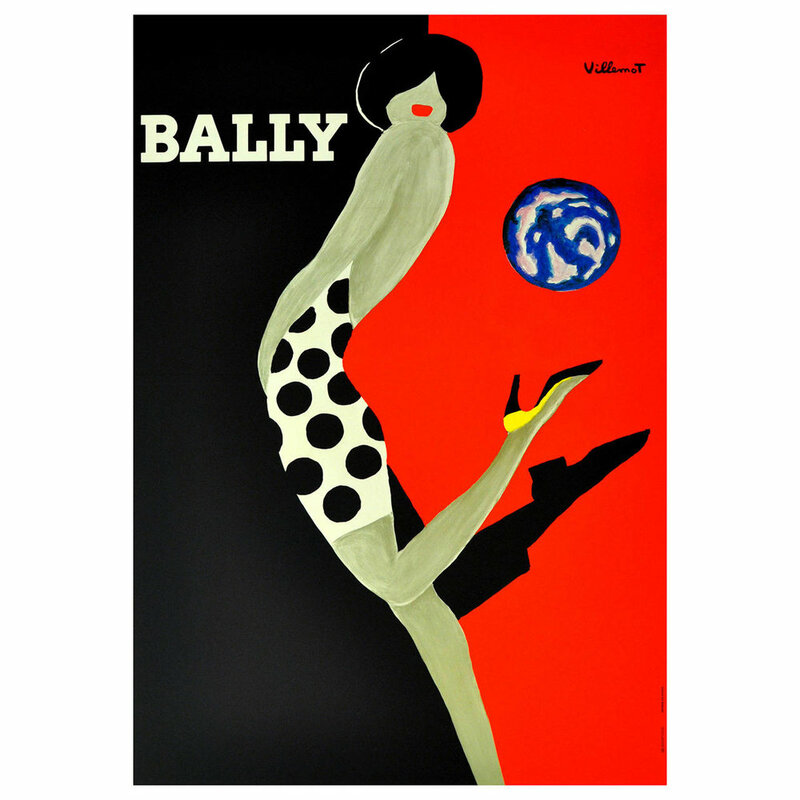 Synonymous with a timeless sophistication and a source of envy among female and male designers alike; the poster art series by Bernard Villemot (1911 - 1989) for Swiss footwear company Bally, is an exemplary example of an ageless iconicism. Bernard Villemot gained notoriety and influence in post-war France for his bold posters featuring household products and commodities - continuing the practice originated by Jules Chéret and pursued by poster artists well into the late nineteenth century. Villemot had the privilege of studying as an art student at the “Ecole Paul Colin”, a graphic arts school in Paris led by one of France's greatest poster artists, Paul Colin. Later in life, Villemot came under the influence of artists such as Henri Matisse and Nicolas de Staël as well as leading Parisian poster artists such as Leonetto Cappiello and Jean Carlu. Having designed successful advertising campaigns for both Perrier and Orangina, Villemot was asked in 1967 by Bally’s publicity director to breathe a new life into their advertising. His first artwork (and one of the most well-known today), ‘Legs’ (1967), was an instant hit with the public, also winning him the Martini Grand Prix. With a bold and courageous composition for the time, ‘Legs’ crops the female form’s body at the neck, making the focal point of the piece the legs and bright red Bally shoes. This poster formed part of a series that Villemot designed for the company over a 15 year period. A number of other bold poster art were to follow, characterised by dramatic use of colour, minimal use of line and form and only the essential use of typography - ‘Bally’. It was in the year of his death in 1989 that Villemot created arguably his most finest piece, ‘Bally Balloon’. Featuring a fearless use of red, the artwork hints at the international recognition he obtained for the fashion brand by including a blue and white globe appearing to be kicked by the female form.